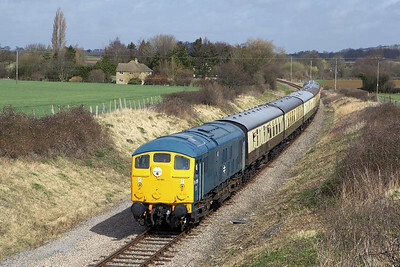 24081 pilots 47105 at Dixton working the 1225 Toddington-Gotherington service on 19/10/2002. 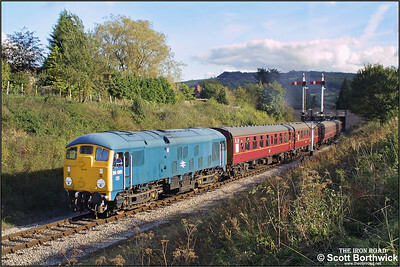 In glorious late afternoon autumnal sunshine, 24081 makes a spirited departure from Winchcombe with the 1445 Toddington-Gotherington service during the Gloucestershire & Warwickshire Railways Autumn Diesel Gala on 19/10/2002. 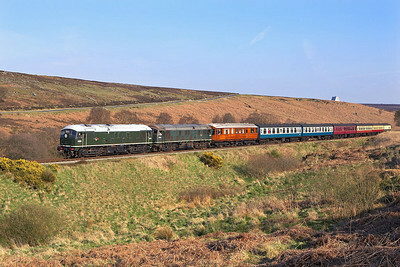 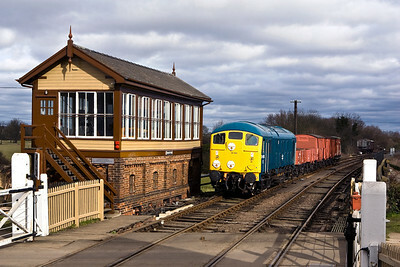 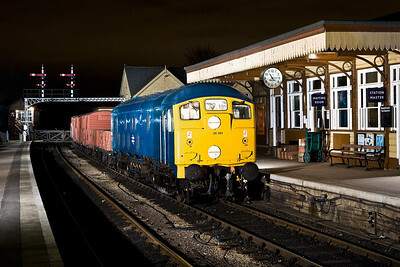 D5061 restarts the 1750 Grosmont-Pickering service away from Goathland on 23/04/2004. 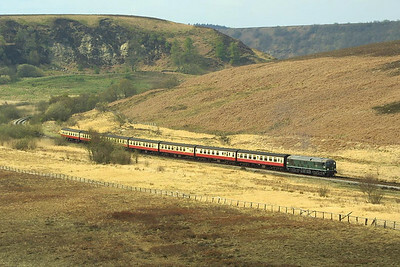 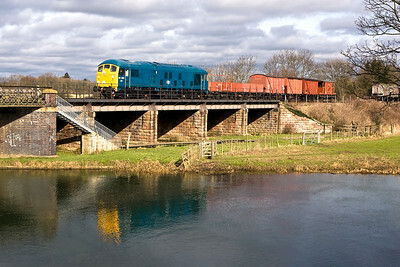 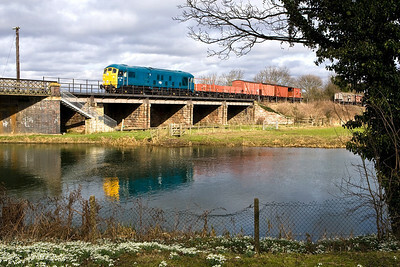 D5061 passes Fen Bog on 24/04/2004 whilst in charge of the 1020 Pickering-Grosmont. 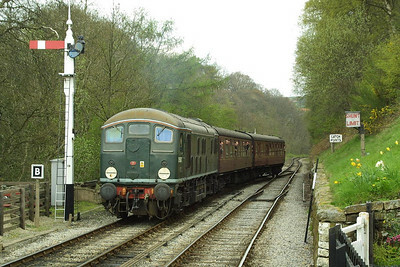 D5061 arrives at Goathland on 24/04/2004 with the 1230 Grosmont-Goathland shuttle. 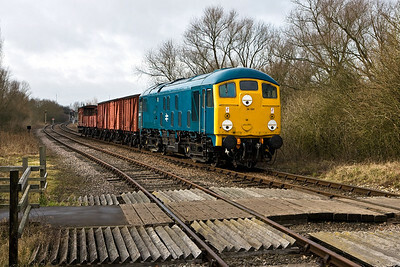 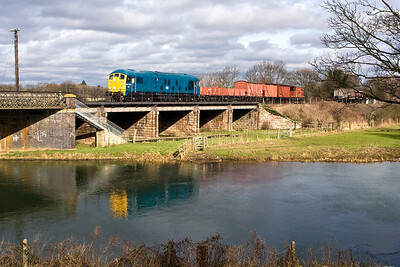 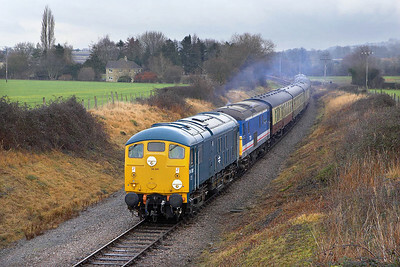 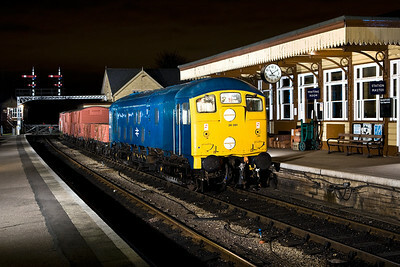 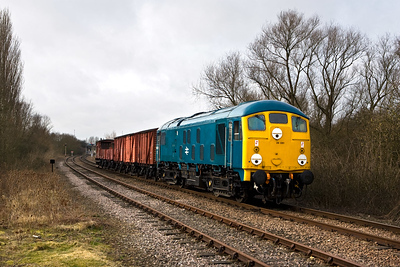 24081+73129 pass Hailes whilst in charge of the 1230 Toddington-Cheltenham Racecourse service on 27/12/2005. 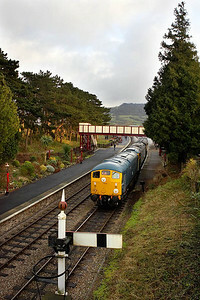 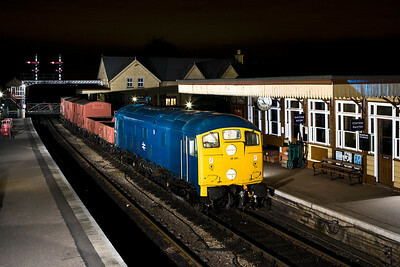 24081+47105 await the road at Winchcombe on 27/12/2005 with the 1430 Toddington-Cheltenham Racecourse service. 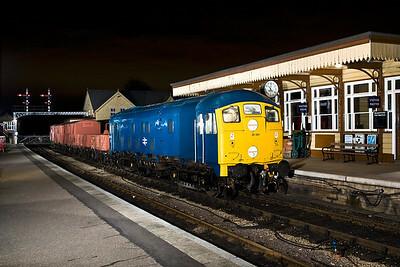 24081 powers the 1240 Toddington-Cheltenham Racecourse service at Hailes on 02/04/2006. 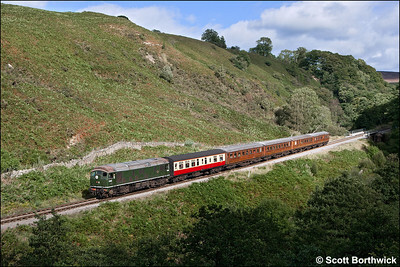 D5054+D5061 pass Moorgates whilst working the 1645 Pickering-Grosmont on 05/05/2006. 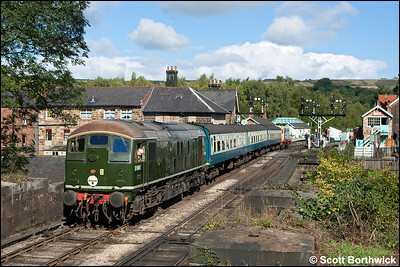 D5061 and the ECS to form 2A33 1210 Grosmont-Goathland are dragged into Grosmont by 20227 on 18/09/2010. 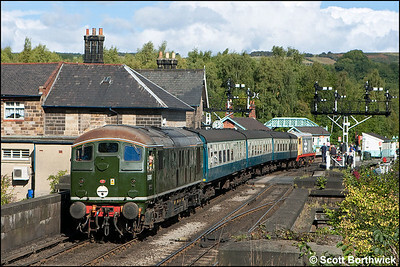 D5061 awaits departure from Grosmont with 2A33 1210 Grosmont-Goathland on 18/09/2010. 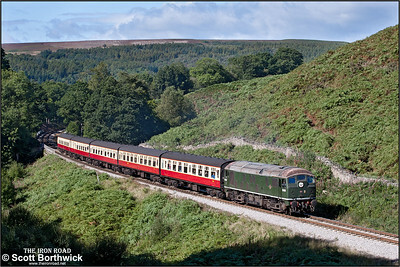 D5061 climbs the bank at Thomason Foss whilst working 1T11 1130 Grosmont-Pickering on 14/09/2012. 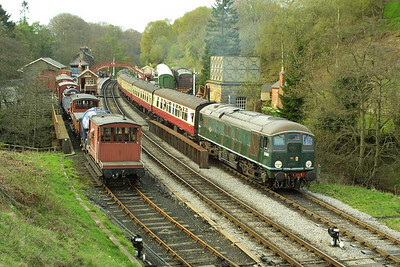 The train was the 1100 Whitby-Pickering starting at Grosmont as a result of a gas leak at Ruswarp closing the Esk Valley line. 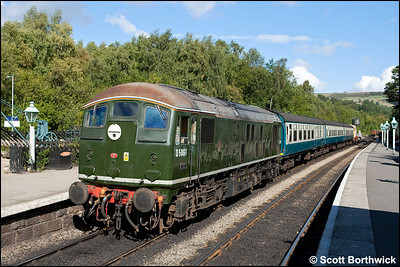 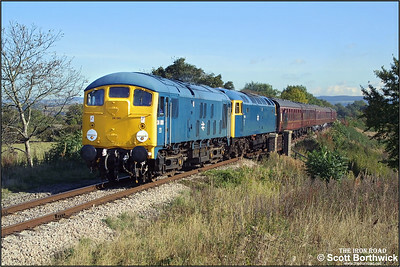 D5061 rolls down the bank at Thomason Foss whilst working 2G10 1400 Pickering-Grosmont on 14/09/2012.